These leaflets provide helpful information about diabetes, covering a range of topics such as how to manage hypos, HbA1C and blood glucose testing. 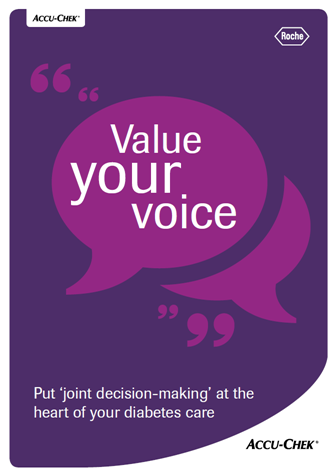 Put ‘joint decision making’ at the heart of your diabetes care. You should have the opportunity to make informed decisions about your care and treatment, in partnership with your healthcare team. This leaflet highlights why you may have seen your prescriptions changed or reduced and aims to give advice on how best to handle these changes. Find out more about working with your healthcare team to get the most out of testing. The facts you need to make the most of your diabetes care. You should have the opportunity to make informed decisions about your care and treatment, in partnership with your healthcare team. 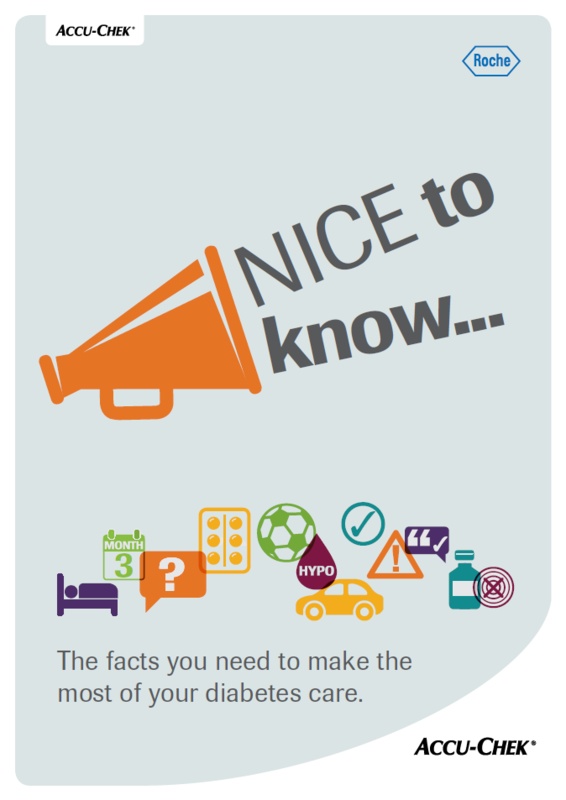 This handy leaflet highlights some elements from the diabetes guidelines from the National Institute of Health and Care Excellence (NICE). Find out more about setting HbA1c targets, individualised care plans, and when self-monitoring is recommended. Diabetes, or diabetes mellitus to give it its full name, is where the body loses the ability to control blood glucose properly. People get diabetes for many different reasons and it can affect anyone, at any age. This booklet will help introduce you to some of the key topics, and advise you on the day-to-day realities of living with diabetes. If you have diabetes, hypoglycaemia is one of those things that it's good to know more about. This booklet explains why it’s important you know what a hypo is, how to tell if you are having one and how to act on it. Going for a jog, drinks after work, eating out or a sneaky midnight snack; these are things most people take for granted, unless you have diabetes. Blood glucose testing is an important way of keeping an eye on what's going on – and an essential tool for managing your diabetes. This leaflet explains the importance of testing. This booklet helps to answer some common blood glucose testing-related questions, packed with tips and advice, it aims to help make testing more comfortable and hopefully less of a pain. Enjoying the occasional drink should not be a problem for a person with diabetes but if you do choose to consume alcohol, ideally do so in moderation as it interacts with blood glucose regulation. This booklet has some tips and recommendations should you choose to have the occasional alcoholic drink. Whether you have diabetes or not, erectile dysfunction is a really common condition, and many men will experience it at some point in their life. This leaflet explains more. The HbA1C test is a blood test for people with diabetes. It measures your average blood glucose level over 2 to 3 months and is an important part of how your diabetes is managed. This booklet explains HbA1C, and how you can use your test results to make sure you stay in control of your diabetes in the long-term. New treatments, constant testing, clinic visits, other problems... Living with diabetes isn't always straightforward. It's no wonder that the day-to-day stress of coping with diabetes affects so many people and gets them down. This booklet helps to explain the link between mental health and diabetes, the signs to look out for and how to help. Whether your cultural roots are in another country, or you have adventurous taste buds, eating exotic foods is no different. It's still important that you eat a healthy balanced diet. If you have diabetes you will, however, need to take extra care. This booklet will help you tuck into some of the key issues you may face at mealtimes. If you are planning a pregnancy, then good blood glucose control before and during pregnancy can improve your chances of a safe and successful outcome for both you and your baby. This booklet provides useful information on lowering risks for both you and your baby as well as diet, lifestyle and blood glucose control.